As the cold Denver months start to move behind us, spicing up your spring wardrobe should be at the top of your to do list. While cleaning out and refreshing your wardrobe, be sure to make the perfect addition with a Denver leather jacket. The first step in finding the perfect leather jacket is to know where to start. What does your budget look like? What color leather would you prefer and wear? Is there a texture you prefer to wear? If you are going to invest in a leather jacket - finding a leather jacket that you will consistently wear is essential. Neutral tones of leather such as black, brown, and grey will make a great piece for a neutral-based wardrobe. Vibrant shades of leather will provide the perfect pop of color and make for a great statement piece. When shopping for your leather jacket, try a few different styles. You might find a jacket that you love online, but if they don’t allow returns and you try it on when it arrives you might be stuck with a jacket that doesn’t fit you and your style. If you are going to invest in a leather jacket, it’s important to take care of your purchase. The first step in caring for your leather jacket is purchasing a leather protectant. Before purchasing your protectant be sure to read the ingredients first. Purchasing a protectant that includes grease or wax provides more protection, but ultimately wears down the color and material faster than a silicone polymer product. You will also want to consider purchasing a leather conditioner, however this product should be applied occasionally and sparingly. Before purchasing a conditioner, come in to chat with us to determine if it’s necessary for the type of leather you are purchasing as well as what conditioner you need to purchase. Keeping your leather clean of salt deposits, which can build up over time, will also be essential as time goes on. Do not use any cleaners that are not made for leather to remove salt deposits, instead use a damp cloth to wipe down your leather - always let your leather air dry after. If you ever have questions about caring for your leather jackets, contact us. Jonval is here to serve as your one-stop shop for leather, fur, and shearling. Our experts are here to inform you on maintenance, cleaning, storing, and repair. Contact us today! You might be ready to take the plunge and purchase your first leather jacket, or maybe you are looking to grow your leather jacket collection. Either way, there is a lot to consider when looking for your perfect Denver leather jacket, and it can seem overwhelming. Luckily, our experts at Jonval can help you get started in the right direction. 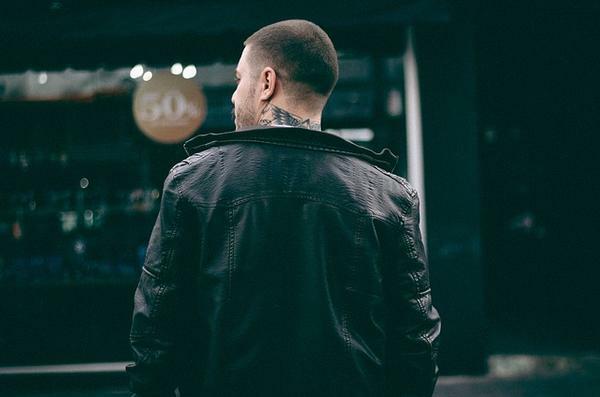 Take a look at some of the things you need to consider when purchasing a leather jacket. The first thing you should really consider when purchasing a leather jacket is color. Purchasing a leather jacket is an investment, you want to be sure to pick a color that you will wear often and for awhile. If this is your first jacket, we recommend sticking with a neutral color such as brown or black. Both colors are easy to coordinate with and create a classic look with ease. While you can purchase a bold, colorful leather jackets, that’s better suited for your second or third leather jacket purchase. Bold color leather jackets make for a great pop of color and statement pieces - save that investment when you’ve fallen in love with your first leather jacket. Color is more than just the color of the leather jacket - it’s also the stitching on the jacket. When picking out the color you like the best, pay attention to how bold or subtle the stitching is. Many neutral colored leather jackets also have different distressed patterns and marketings, don’t shy away from these. Distressed markings and patterns gives the jacket more character and can really leave an impression. Leather jackets come in many different styles, including bomber jackets, racer jackets, shirt jackets, and blazers. Before shopping for your first leather jacket, research some styles, and decide on what that you would love. If this is your first leather jacket purchase, we recommend a racer jacket - they tend to be minimal. Pick a style that you can see yourself wearing often and at different times throughout the year. A lightweight leather jacket can be worn most seasons, while a heavier jacket might be a little better suited for the winter. It’s important to try your leather jacket on prior to purchasing. The leather jacket should fit snug, hug your armpits closely and should button/zip completely. Remember, the more you wear your leather the more it will begin to “break in” and hug your body. This will allow for some wiggle room, so don’t buy a jacket that is too large. With leather jackets, you get what you pay for. Higher priced jackets will be made with a high quality of leather, and they will last longer. While the higher price tag might be intimidating, you a leather jacket is worth the investment. This guide should have given you the perfect start to purchasing your own Denver leather jacket. Come by Jonval to get help from an expert, ready to assist you in your purchasing journey. Schedule an appointment today, or feel free to stop by at 6880 E. Evans Ave. Although fall is nearly over, it’s still a great time to purchase a new jacket. But, the real question is what kind to get? If you’re looking for something stylish for both work and daily life, you should find yourself a Denver leather jacket. Although they may scream spring weather, leather jackets are the perfect attire for the fall and winter as well. Below, are a few tips you can begin using today for finding the perfect Denver leather jacket. Leather jackets can be quite expensive, usually not more costly than fur, but expensive nonetheless. To avoid draining your entire bank account, you should figure out your spending limits and look for Denver leather jackets that within this budget. Once your budget is set, you can start looking at local leather stores in Denver to find your perfect jacket. The best way to get a good idea of the kind of inventory you have to choose from is by visiting a local leather store in Denver. Although you may be tempted to shop online, it’s still a smart idea to view the different leather jackets in-person first. After all, with most clothes, you never know how they’re going to fit by just looking at them. Once you find a local leather store in Denver to shop at, you can stop by and start trying on a variety of leather jackets. While trying on different jackets, the key is to ensure the fit is right. If it isn’t, you aren’t going to enjoy the leather jacket as much and end up wasting your money. To make sure the fit is right, your new jacket should fit snugly on your shoulders, but not too tight or loose. When you lift your arms up, the bottom of the jacket should lift up a little bit as well, but you should be able to actually lift your arms above your head. Also, the jacket length should hit your waist; you don’t want a trench coat or a cropped jacket, which may not be suitable for your style. The best way to find the perfect leather jacket is to try on a few different ones. This is a perfect time to try out different colors and styles, which you might like. Don’t be afraid to step outside of your comfort zone and wear something different. Once you find something that you genuinely like, consider buying it today or ordering it online at a more affordable price. There’s a lot to consider when trying to find the perfect Denver leather jacket. From making sure the fit is right to trying on a few different jackets, hopefully, this guide could inspire you to try out a few different leather jackets until you find one that matches your ideal style. So, what are you waiting for? Head down to JONVAL at 6880 E. Evans Avenue in Denver today to find your perfect leather jacket! If you have an assortment of fur coats in Denver, now is the time to get them out storage and see which are still usable and which ones can be sold or donated to charity. That’s right, this holiday season, it’s time to do the annual organization of fur coats. If you’re struggling to figure out where to get started, here are a few tips that can serve as a helping hand. First, you should start with taking your coats out of storage. You either preserved your fur coats in a basement storage bin or had them dropped off at your remote storage location in Denver. To start organizing the coats that you have for the winter, you should take them out of storage, remove any wrappings, wash them, and start considering what coats you no longer want in your wardrobe. Although no one wants to get rid of an expensive fur coat, if you no longer like the style of or it’s severely damaged from years of wear and tear, it may finally be time to get rid of your winter fur coats. Spread the array of coats you have on a table or bed and take some time to model each one so that you can best determine which ones you still want to keep and which ones you no longer want at all. However, you don’t have to toss the ones you no longer wear in the trash, instead, consider selling them, donating them to a charity, or giving them to a friend. With your remaining fur coats that you still want in your wardrobe, you should organize them by different styles (such as color and texture), so that you can more easily pair up your coats to the outfit you’re wearing. After all, no one enjoys having to peel back layers and layers of fur coats to figure out what they should wear on a given day. If you want to keep your fur coats in your room, you should also consider investing in a durable coat rack, as keeping them in your closet may cause excessive strain with the other clothes you already have hanging up. Not to mention, you might not have enough room. After you’ve organized your fur coats, you may notice that you’re lacking in variety for the winter. If this is the case, you should consider buying new fur coats in Denver for the winter. 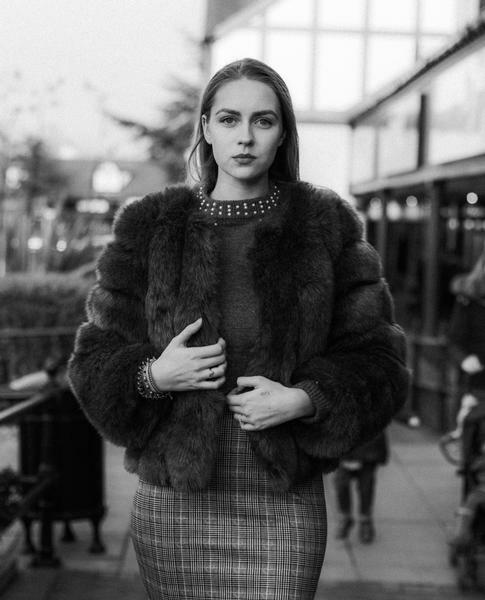 Head down to a local fur store today to begin shopping for affordable and stylish fur coats that will make your style stand out this cold winter season ahead. It’s not the easiest process to organize your fur coats in Denver this winter, but someone has to do it. Plus, getting rid of old fur coats you no longer wear makes space for new fur coats you can buy this winter. If you’re currently in the market for a new fur, consider stopping by Jonval Leathers and Furs to browse the best fur coat supply in Denver! Do you have minor or severe damages in your leather apparel? Although this can seem like the end of the world, it’s anything but. There are plenty of ways you can get your leather jackets, pants, or gloves quickly repaired this winter. Here are just a few ways you can effortlessly handle Denver leather repairs this busy holiday season. First off, don’t freak out if you notice some of your leather apparel becoming damaged, wear and tear is all part of owning clothing. Instead, take a deep breath and understand that there are plenty of ways you can begin repairing your clothing. Although it can seem like you tossed out hundreds of dollars due to damaged clothing, your apparel can become repaired in a matter of days for a reasonable cost. Once you’ve calmed down from spotting a crack or dulled area in your leather clothing, you should begin identifying any other damages that might have arisen. Before attempting to do any leather repairs on your own or finding a local Denver leather repair shop, you should identify all the damages that have occurred across all your leather apparel. You can easily do this by hanging up your clothing and inspecting them one-by-one until you have entirely reviewed every article of leather apparel. Once you’ve identified all the repairs that need to be made, you can either start making the repairs yourself or find a reputable leather repair shop in your area that suits your budget. If you’d prefer not to do leather repairs on your own, you should find yourself a reputable and affordable leather repair shop in Denver. Although there may be quite a few to choose from, you should be on the lookout for a repair shop in Denver that offers affordable repairs that are well-reviewed from past and current clients. Once you found the shop you want to hire for your repairs, make sure to book your appointment as soon as you can, or else your leather repairs can get even more extensive and costly. 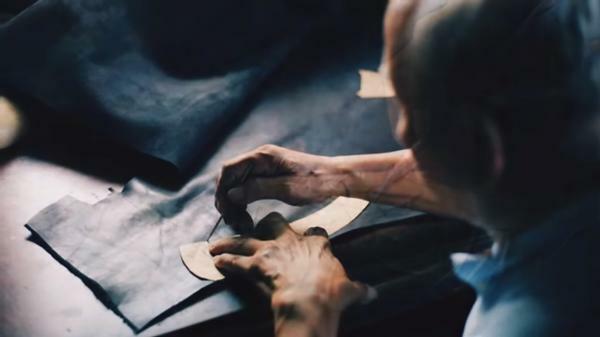 Not every leather repair can be avoidable, but some can. 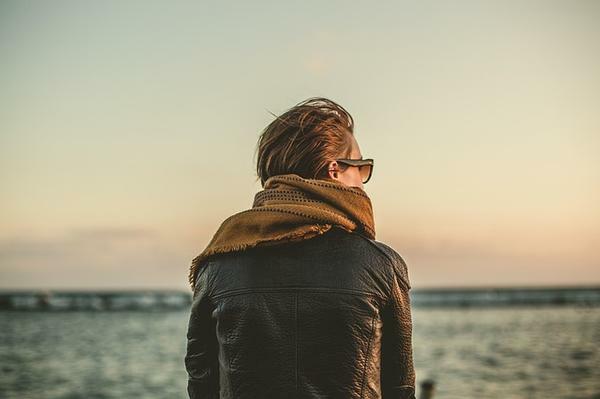 A few ways to avoid repairs in the future is to properly treat and maintain your leather apparel and keep your clothing out of harm’s way, such as poor weather conditions and your washer and dryer. Although it may seem impossible to avoid every repair, doing everything you can to will prevent you from paying hundreds of dollars in leather repairs each season. There are many ways you can go about handling Denver leather repair this winter, from keeping calm and not freaking out over slight damages to finding a reputable leather repair shop and preventing repairs in the future. Hopefully, the tips above are enough to help you handle leather apparel repairs this winter. If you have leather damage and require immediate repairs, contact Jonval Leathers and Furs today at 720-377-1555 for a free consultation and affordable repairs in Denver.